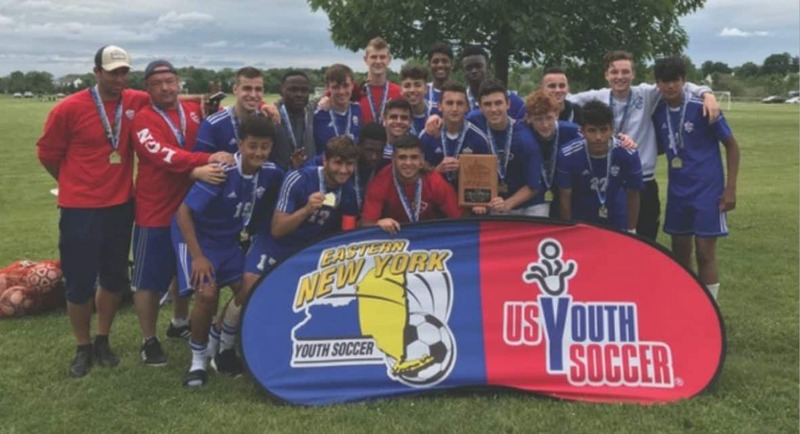 Lake Grove/Newfield United 2001 goalkeeper Ryan McGovern was the hero of the Boys-Under-17 State Open Cup final by saving four penalty kicks during the shootout. 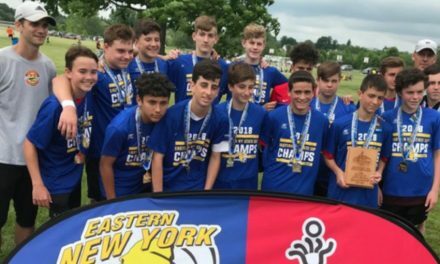 Lake Grove/Newfield had tied another Long Island Junior Soccer League team, the Levittown Gunners, 3-3, after both regulation and extratime and became Eastern New York Youth Soccer Association champions, winning 2-1, in six rounds of the penalty-kick tie-breaker. The game for the Jose Vargas Cup was played at Stringham Park in LaGrange, N.Y. June 3. Vargas was a game official who served as State Referee Administrator, State Youth Referee Administrator and State Director of Assessment as well as president of the East Hudson Youth Soccer League and East Fishkill Soccer Club. “It was Levittown the first 15 minutes, then we went up 3-0. We then became too fancy and they caught us,” Lake Grove/Newfield coach Frank Stagnitta said. Olsen Aluc, Tyler Rosenfeld and Olvin Yanes scored Lake Grove/Newfield’s goals during regulation while Steven Rojas and Nicholas Pozo tallied in the shootout. Levittown received the Rocco Amoroso Sportsmanship Award as determined by the game officials. 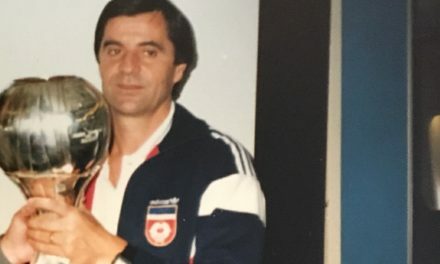 Amoroso, a U.S. Soccer Life Member who died in 2016, started the LIJSL Sportsmanship Program in 1980 and it spread to Eastern New York, nationally and to China and Ireland. Lake Grove/Newfield will represent the ENYYSA at the Region I tournament in Spotsylvania, Va. June 29-July 3.